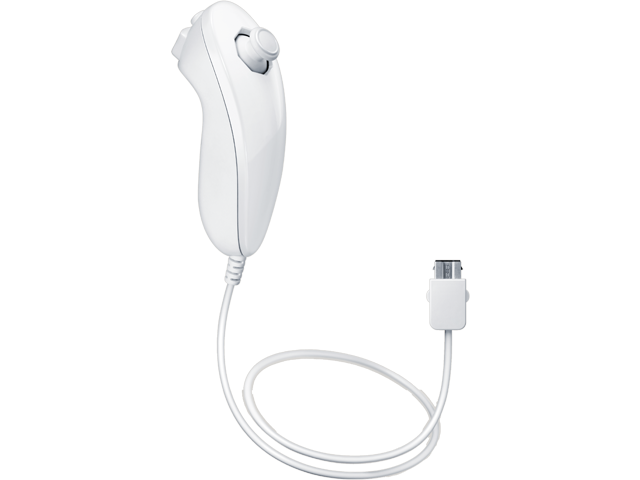 Hook the Nunchuk accessory up to your Wii Remote™ Plus for even more flexibility in compatible games. The Nunchuk has similar motion-sensing technology, along with two buttons and a Control Stick. This allows you to move characters around while performing more specific and complex actions with the Wii Remote Plus controller. The Nunchuk™ is now available as an Authentic Nintendo Refurbished product only from Nintendo, and it comes with our standard 90 day limited warranty. Although it may have minor cosmetic blemishes, it is guaranteed to be fully functional. We think you will find the standards for Authentic Nintendo Refurbished Products are VERY high. NOTE: Not all games require use of the Nunchuk. Check game packaging to see if the Nunchuk is used with a specific game.